Siliguri: An adult leopard has been found dead at a tea garden at Alipurduar’s Kumargram. 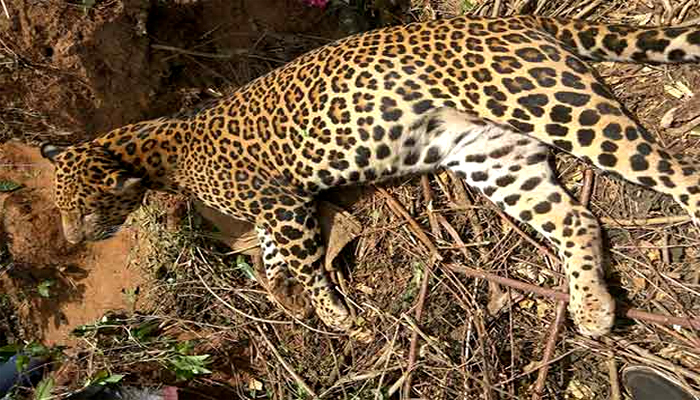 Workers of Chunia Jhora tea garden noticed the carcass of the leopard when they went to pluck tea today morning. 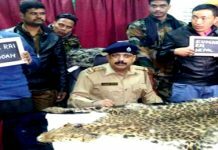 The leopard was found lying next to the tea bushed at the tea garden’s section 17. The management subsequently alerted forest officials at the Buxa Tiger Reserve. Forest personnel came and took away the carcass for post-mortem. 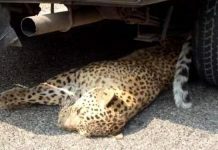 Officials said that the leopard appears to have died last night or today dawn but there are no visible injury marks on the carcass. 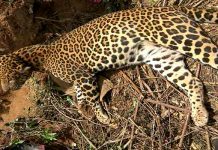 They suspect that they leopard might have had come in contact with pesticides that are used to keep insects away from tea bushes.